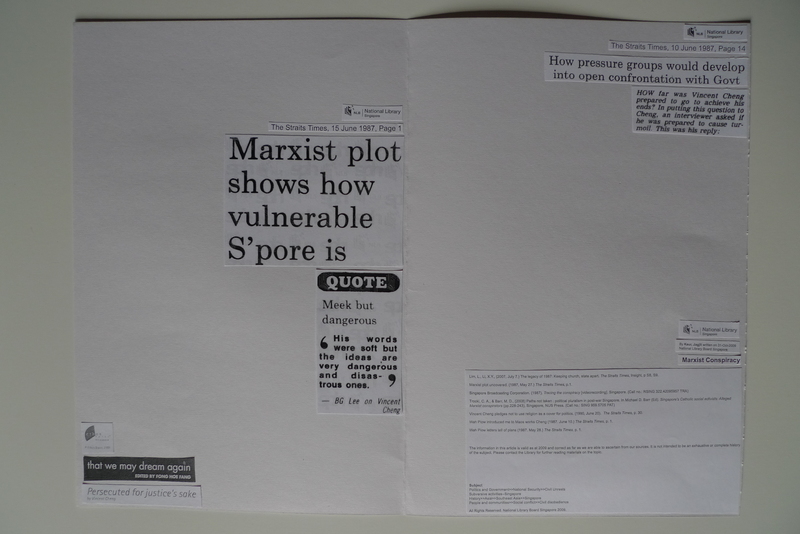 Magdalen Chua writes: At I AM NOT A POET’s Summer School of Silence on 9 August 2011, I facilitated Script doctor comprising a reading from an ongoing work, Scrapbook of a Marxist Conspirator, with a discussion on the complexities and subjectivities involved in writing, editing and presenting of history. 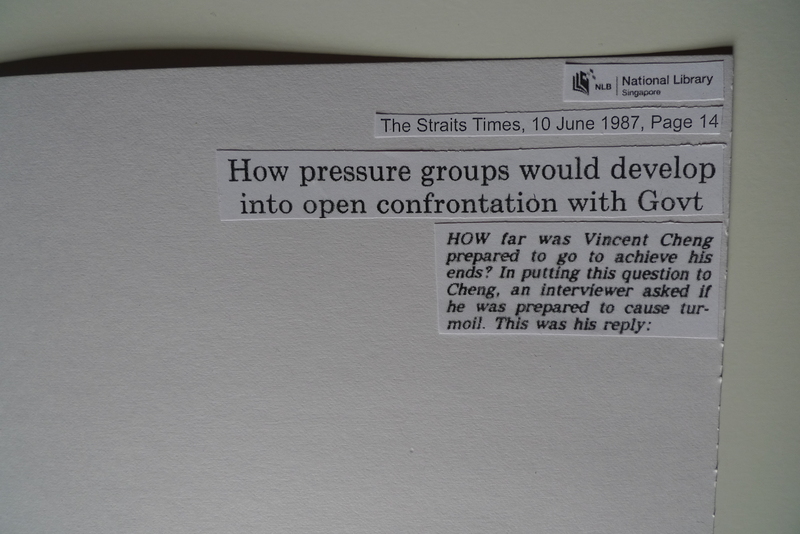 The session was framed in context of an event when 22 young activists accused of conspiring to establish a Marxist state in Singapore were detained in 1987. 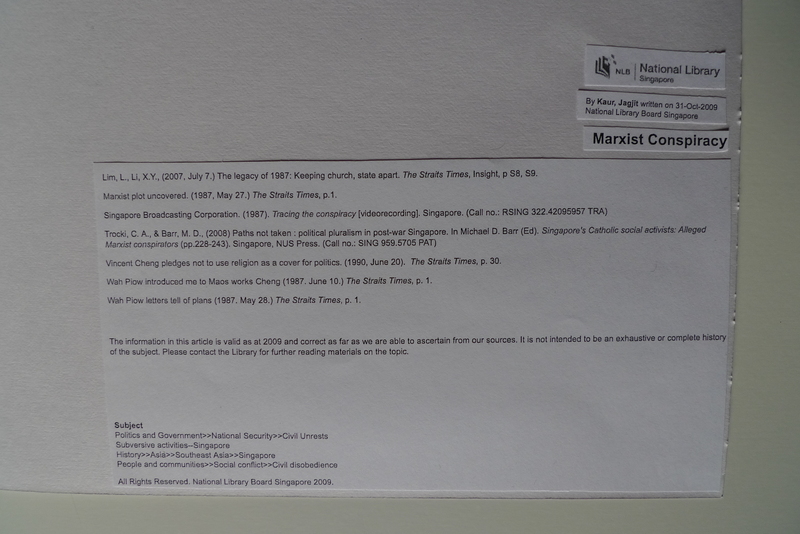 In 2010, Singapore’s National Library Board barred Vincent Cheng, an ex-detainee, as speaker at a seminar “Singapore History: Who Writes the Script”. 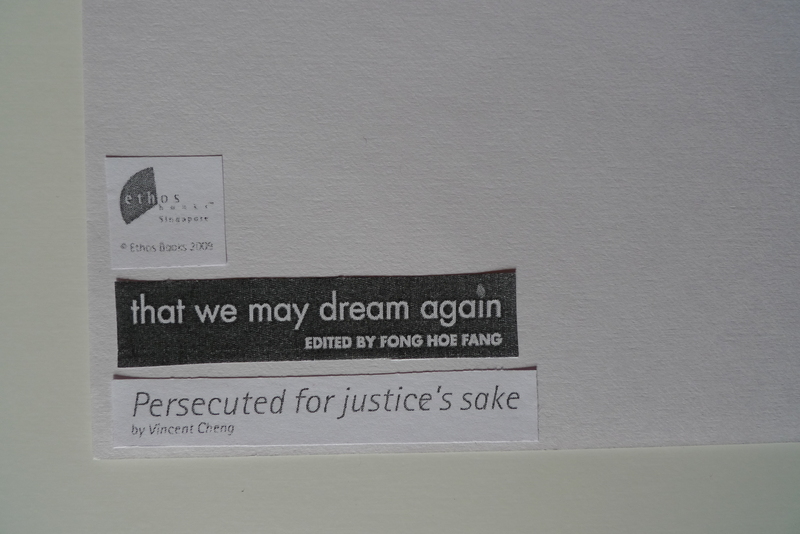 Taking the idea that silencing a key actor in a contested historical event presents the occasion for different voices to enter to write, edit and present the script, participants were given four sets of materials offering different accounts surrounding Vincent Cheng and his voice, for a discussion on sources, forms and channels in the production and distribution of history. 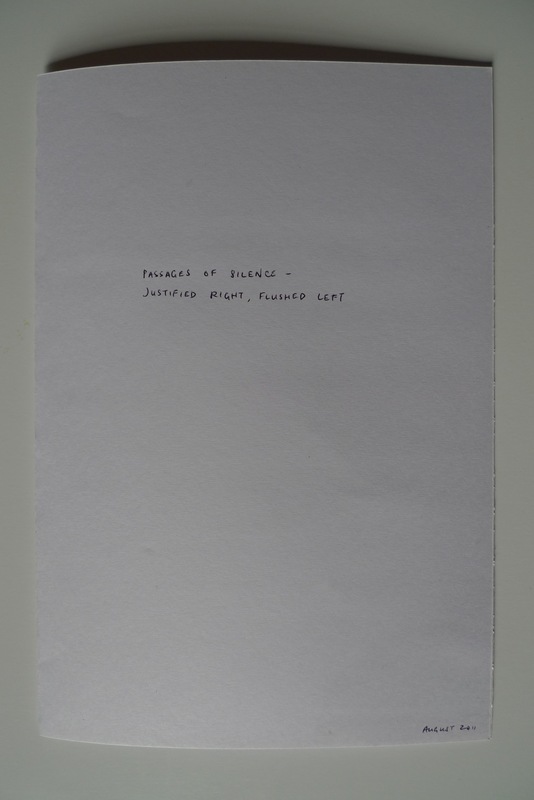 Passages of silence – justified right, flushed left is a work that responds to the discussion during Script doctor, as well as the conversations that occurred during the day on silence, how it functions and unfolds. Drawing on the same four documents distributed in Script doctor, the work explores sources of authority with their imprints, the abstracted spaces between, and the irresolution between fiction and truth. Magdalen Chua is curatorial worker at Studio 41 in Glasgow. More info here.